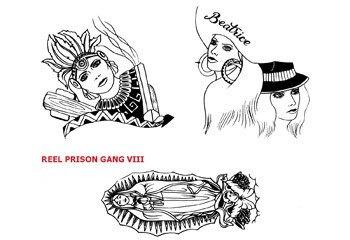 This sheet contains latino: Madonna/Guadalupe, Ladies (2 piece) Aztec/Mexican and Contemporary. Sold by the sheet only. The Astec piece sits on top of the "beatrice" to form a sombrero.